LUWEERO– Police officers on Sunday roughed up 178 residents from Kapeeka, Luweero as they sought to block them from entering Entebbe State House in order to meet President Museveni. The group, comprising mainly the elderly, claim that when the President launched Good Will Ceramics Company in Kapeeka in October, he invited them for a meeting. The group claims that they mobilised transport and travelled to Kampala, only to be tossed around at State House where they said they have spent camped for several days, waiting to meet the President. Joel Mulawa says that on one of the occasions when they appeared at State House, they were tear-gassed, while some of their colleagues beaten up and detained. In the process, one of them; Salongo Tebyenkya Chris, a veteran, succumbed to injuries in hospital. “We were invited by the president, when we reached Entebbe we were tear-gassed, arrested detained.” Mulawa said. Lule Njere, aged 55, expected merry on coming to Kampala but here is nursing wounds and in excruciating pain. 85-year- old, Vandicta Kobushinge Bakainaga says he has resorted to street begging for survival, because they are stranded with no resources to take them back. Expressing Skepticism about the alleged beatings by security team in Entebbe, Don Wanyama the Senior presidential press secretary confirmed he knew about the team and that their issues are being handled. While the victims pin Entebbe police officials to have affected the beatings and arrests, we could not get the accused as their official lines went unanswered. 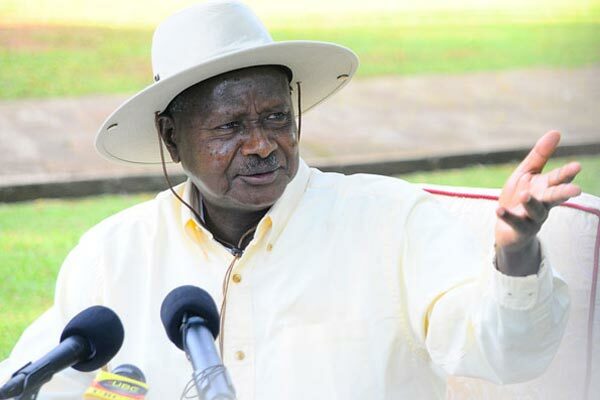 In September, a group of about 200 residents of Rukungiri district was forced to spend a night at the gate of President Museveni’s country home in Rwakitura, Kiruhura District, after being denied access to him. The group named Boona Bagigahare NyekundireGroup had travelled in three buses and arrived outside the President’s home on Sunday morning but were not cleared to enter.